Here in the West, and especially in the Northern hemisphere, the mainstay of the human diet is leavened bread, and no-one knows how this mainly European food was invented. Traditional leavened bread is seen across Europe, and also other parts of the Northern hemisphere, including Russia. It is not so widely seen in the traditional foods of Africa and south-east Asia, and on discovery of the Americas, people were not found to be eating leavened breads. In the Northern hemisphere, bread is distinctively solid and heavy. It gets lighter as you move further south in Europe. 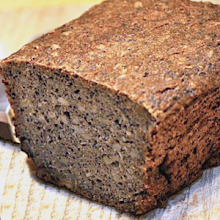 Russian black bread: made from Rye, the main difficulty is that more yeast is required to break down the higher levels of gluten… however, where rye bread is traditionally eaten, it is usually too cold to access lots of yeast. 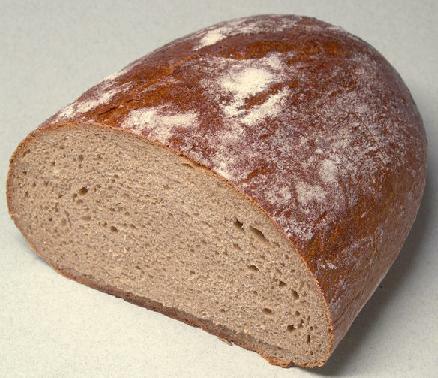 Rye bread seems particularly associated with very Northern regions where yeast is difficult to access. Traditional Nordic rye bread. Again a sturdy, solid and flavourful loaf is preferred but again from Rye, which is far from ideal for proving in a very cold climate. So its curious that one theory for the first leavened bread requires a hot climate, where a mix of flour and water is left in the warm for too long and starts to naturally ferment from traces of yeast on the grains. If this were the correct explanation, well, leavened bread seems to be being eaten in the wrong parts of the globe (though of course, food fashions are mobile). We get another clue from ancient Egypt, where walls contain depictions of bakeries and breweries. These 2 industries seemed to have a symbiotic nature and dough rising in pans is shown. This leads me to my own hypothesis on leavened bread but while I write this, I have a little experiment on the go. I’ve mixed whole-wheat flour and water, flattened the dough with my hands and have left it by the radiator. Its pretending to be a hand shaped flatbread dough left out in the warm and forgotten and will be baked tomorrow. I want to see how much of a rise I can get out of it. I’ve also baked a special loaf of bread, to compare it with, but to tell you more about my special loaf, would give the game away too quickly. Yes, some experimental archaeology is happening while I write. And my special loaf is delicious and is nourishing me as I write. Agriculture first appeared in Europe in around 7000 BC and rapidly spread across the continent from the South East to the North West, moving at around the speed of 1 kilometre a year, becoming widespread by around 5000 BC. We don’t know if this process was violent or peaceful and we don’t know if it was the spread of new populations or the spread of an idea to established hunter-gatherer people. We do know it took much longer for agriculture to reach Britain (4000 BC) and Scandinavia (3500 BC). Maybe this delay was from being more sheltered from aggression, or from being already very well fed on the oil rich marine foods of cold waters. Grains were the crop of choice: emmer wheat, einkorn wheat and barley and there was something about these grains that was very attractive to people. Obviously, grains when ground into flour are a big source of calories, providing unleavened bread and perhaps pastries made with animal fats, even uncooked porridge. 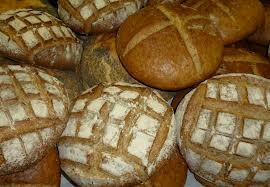 The earliest known European leavened bread was a sourdough in the Mediterranean in around 2500 BC. A sourdough bread is where fermented dough from a previous dough is used as the starter, instead of yeast. It is believed this technique spread from ancient Egypt, which seems credible to me. So we have a very long time gap between the dawn of agriculture and the appearance of leavened bread, and I have my own theory that the leavened bread of the northern hemisphere had its own interesting story, that links with those early Egyptian bakeries. 2 years ago, this discovery of leavened bread was puzzling me, and so was the traditional heavy leavened bread favoured by northern hemisphere people. If dough becoming warm was the trigger for the first leavened breads, why are they not widely seen in hot parts of the world? Why is heavy, dense textured bread so favoured by, and so cultural to, the people of the Northern hemisphere? Why would the difficult to ferment rye breads be so popular up north? I enjoy bread making and an answer came to me 2 years ago as I was making bread dough. I added the yeast, the sugar, the warm water and then I paused…. Beer. A bottle of beer is a portable ready to make loaf of bread, it just needs flour. I finished my loaf and hurried to the shops, buying bottle of beer with as low a hop content as possible (no hops back in the Neolithic) and kamut flour (apparently the oldest grain you can buy). I got back home, poured the flour into a bowl, poured in beer, stirred it, and to my surprise there I had instant perfect bread dough. I baked it immediately and out came a perfect loaf of bread, heavy and dense textured, rich in flavour, well risen, satisfying. It was good solid Northern hemisphere bread. A loaf of beer bread. This is really what you get when you simply pour some beer into a bowl of flour and bake it without proving! Beer = instant bread. So I sat down and ate it, and with pen and paper, developed my hypothesis. When agriculture appeared in late Northern Europe, it was a pretty grim time. The climate was unpredictable creating droughts and famines and the linear pottery industry (a culture in central northern Europe) were expanding aggressively, committing mass cannibalism events (such as at Herxheim in Germany). In the uncontacted North, people were probably cold, under threat and being in the North, half their year was dark, hungry and freezing cold. Water could be unsafe to drink as populations expanded in coastal areas. They had their rich oily marine foods, and the stubborn and stoical attitude that comes with living in an extreme climate, along with an ability to defend themselves. So nothing could be forced upon them, they accepted change by choice, and in time, traders introduced them to beer made from fermented domesticated grains. Beer was great. It was sweet and fizzy, it was a meal in a tusk, it blurred out the cold, it soothed their hunger, their aches and pains, it was safer to drink and it was addictive. And it was fun for all the family. In time, dependency and love of beer and the vulnerability of having to import it persuaded these people to want to start growing their own grains and brewing their own beer. The rich soils of northern Europe were perfect and the grains grew well. 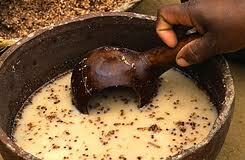 Beer was brewed and milled flour was mixed into porridge and made into cooked flatbreads. And everyone was a bit drunk. Inevitably beer would get spilt into flour and bakers would be furious. Maybe there would be a big fight with those beautifully smooth ground stone Neolithic axes. Then someone would notice that the flour now looks very amazing and smells very good, much better than a flatbread dough. Someone bakes it and…. The most delicious food they have ever tasted has been born. Going back to ancient Egypt, we can see that the first images of leavened bread are of bakeries among breweries. 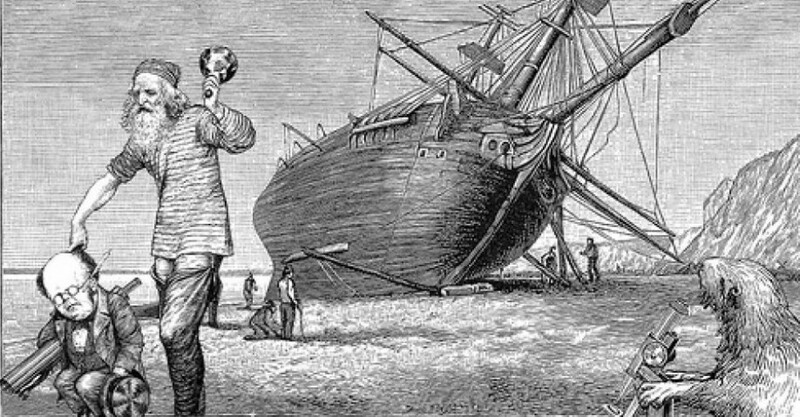 Was it a similar invention there? The sourdough breads that spread through the early classical world seem to have been born of warmth and yeast spores, but they could also have been first made from spilled beer. So now I can get back to my experimental archaeology. 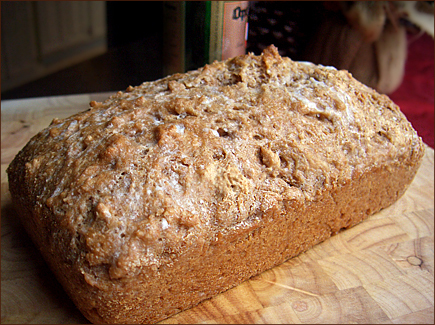 My home-made ‘special bread’ is beer bread, and it is delicious. I literally just pour beer into flour and then bake it. It has all the dense and flavoursome qualities of Northern bread. My experimental flatbread is a disaster. Its still flat and nothing like bread we up north know and recognise. I made the annoying discovery though that beer bread is already a recipe that people make. 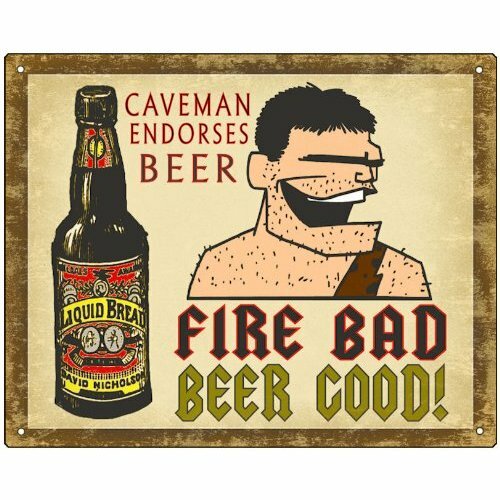 However, as far as I know, no-one has made the connection between beer, the Neolithic, the northern hemisphere and our own dense leavened bread. This bread, I think, was born of peoples who had an intense beer culture, who accepted agriculture to fund their beer culture and who accidentally invented their own bread while drunk! I did a presentation for this afterwards, where I served people oily fish, shellfish, beer, beer bread, rabbit and venison, to give them a British/Scandinavian Neolithic feast while presenting my idea. However, we do not know for sure. It’s just an idea but I like it! Apparently it was a very tasty idea too. Hi. Thanks I enjoyed your article and must try the beer bread. I don’t see when this article was from but did you know that most bread benefits greatly from a cold fermentation. Professional bakeries actually use retarder provers, which first refrigerate the dough overnight and then speed final proving by very gentle heating. The final benefit of the older fermentation is improved flavour and digestibility, warm proving is not necessary. I suppose there was a natural difference between Winter and Summer bread.